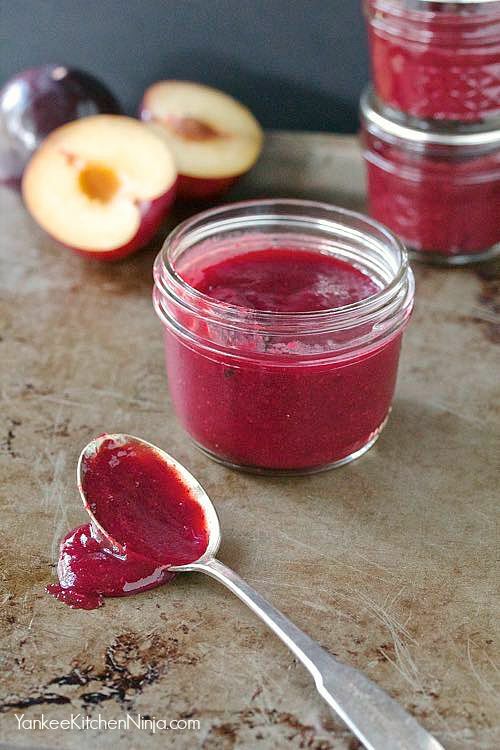 Plus, you don't have to be a canner to enjoy this ginger spiced plum sauce. 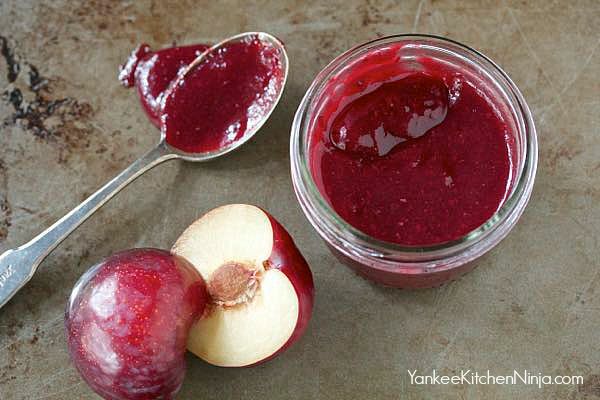 You can keep it for several weeks in the fridge or even freeze small jars of it to enjoy later in the cold winter months. Have you gone off the deep end for pumpkin-spiced whatevs yet? If not, what's your favorite fruit or veg to indulge in in the early fall months? Leave a comment: The Ninj wants to know. As written, this recipe makes about 4 cups of sauce. Add all the ingredients EXCEPT the plums to a large pot and bring to a boil. Simmer for about 5 minutes or so, then add the plums and continue to simmer until thickened and jammy (about 20 minutes or so). Carefully puree until smooth using an immersion blender. If not canning for storage, simply cool the sauce and keep it in the refrigerator. If canning, process using the boiling-water canning method for 10 minutes. Very unusual sauce and so pretty, Jules. 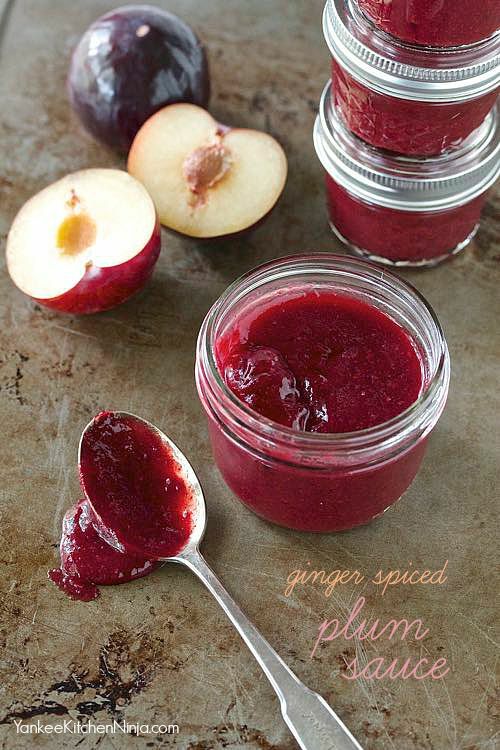 Love the idea of a spiced plum sauce. Would be delicious on pork tenderloin! Yes, it would be AWESOME on pork tenderloin, Allie! Great suggestion. And thanks for checking it out. Oh yum, that sounds great, not to mention that gorgeous color. The recipe looks easy, I think I will give it a try! It's easy, yummy and super pretty -- I highly recommend it! How important is it to remove the peel from the plums? Don't bother to remove the peels at all -- that's too complicated! They are also responsible for the beautiful color. The only thing that needs to be peeled is the fresh ginger.